This costume is great for any marijuana user. 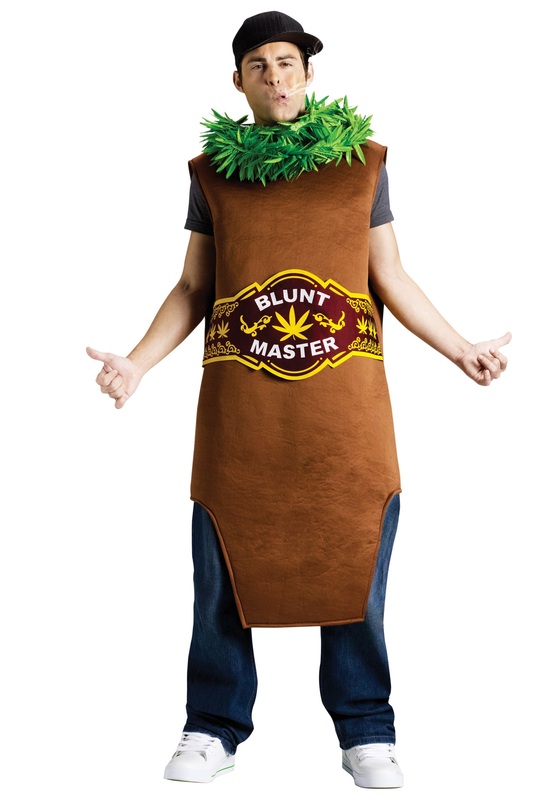 This Blunt Master Costume comes with a foam tunic, marijuana leaf collar and a lei. The 100% polyester tunic is brown with a burgundy band across it. The burgundy band has yellow trim and yellow marijuana leaves. It has the words "blunt master" written in white capital letters. The leaf lei has green marijuana leaves around it and fits over the head and hangs around the neck. The leaf collar attaches around the neck via a velcro patch and also has matching green marijuana leaves sewn to it. Become your favorite plant this year with this cool costume.